West Penwith is the area to the west of St Ives on the north coast of Cornwall and Penzance on the south coast. On a good day – and there were several last week – the sea looks and feels fantastic, the sky is blue and the beaches are white – tiny crushed shells. 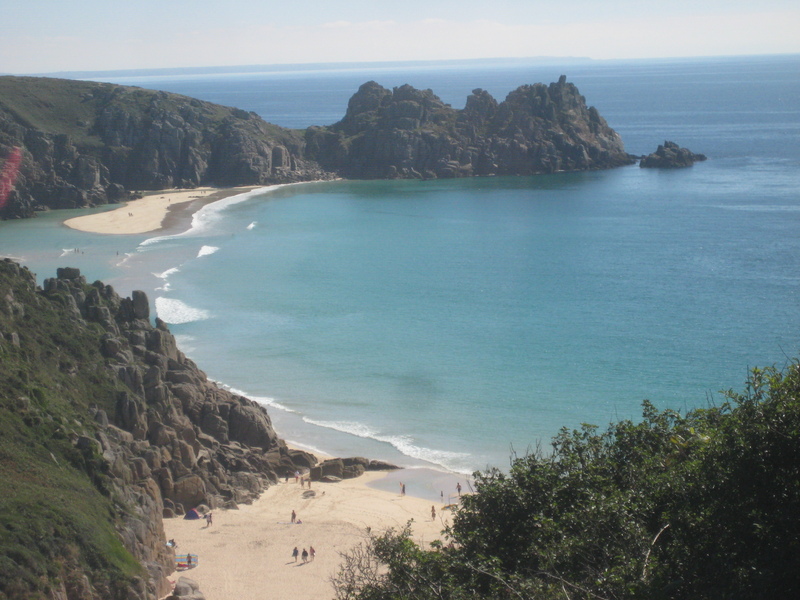 This is the Logan Rock from Porthcurno. 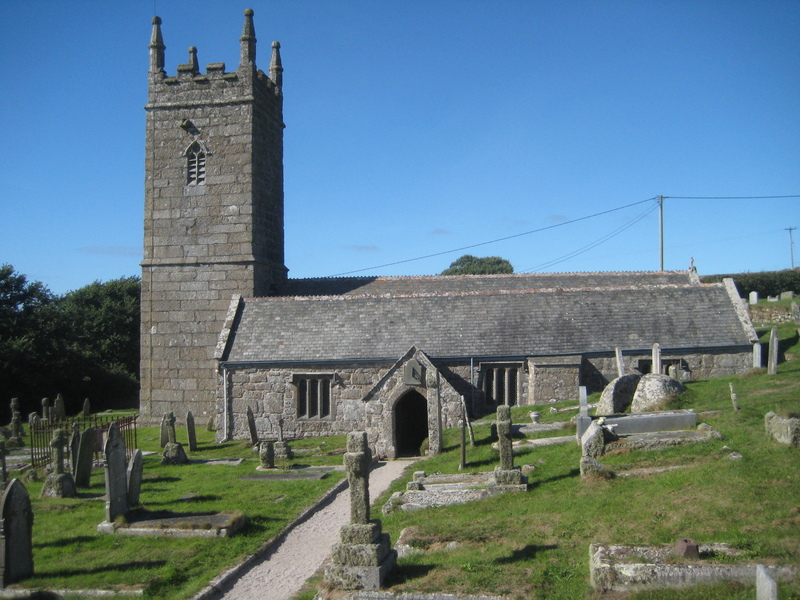 This is St Levan Church – perched on the edge of the land. This entry was posted in Uncategorized and tagged church, Cornwall, sea, shells, stone. Bookmark the permalink.